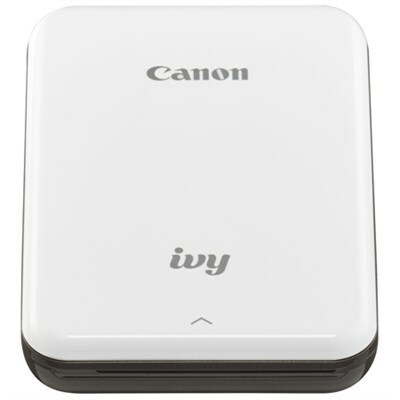 A notably compact offering that is less than 1" tall, this IVY Mini Mobile Photo Printer from Canon allows you to easily print pictures off a compatible phone or tablet. It runs on a built-in rechargeable battery and uses Bluetooth connectivity to pair with your iOS or Android device, eliminating the need for cables except when charging. The unit can fit in a small bag or backpack, or even your pocket, so you can create vivid images no matter where you happen to be. ZINK technology activates different layers of dyes in the paper through heating, forming an image without ink or toner. 5.9 x 4.2 x 1.5"